The Alabama Center for the Arts is a focal point for promoting education and engagement in fine and performing arts in the region through professional faculty, quality programs, and state of the art facilities. 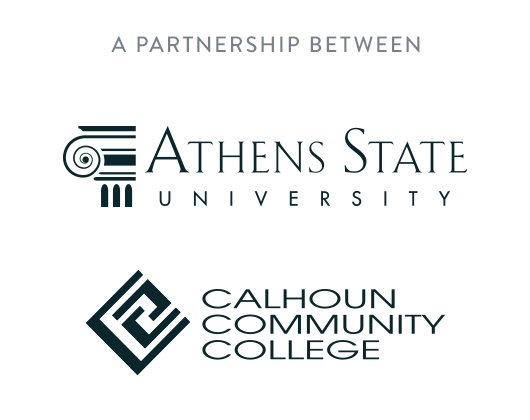 The Alabama Center for the Arts represents a unique and dynamic partnership between Athens State University, Calhoun Community College, and the City of Decatur. The Center will be a hub for active and engaged creative activity and learning in an inspiring, vibrant, and supportive environment. The Center will serve people of all ages, backgrounds, and skill levels through targeted outreach, partnerships, and programs. As a key resource and driver for arts activities and education, the Center will enhance the civic and cultural life of the community.